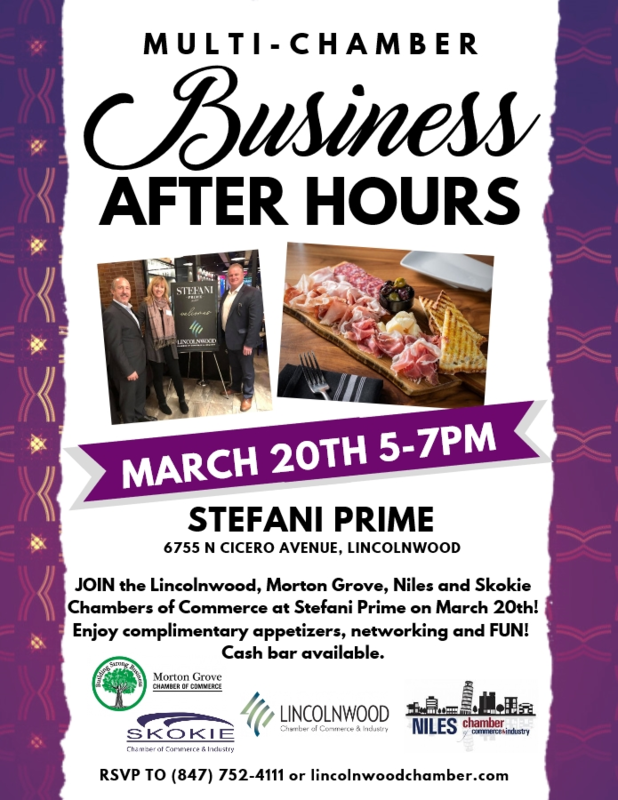 Join us for another fun night of networking at Stefani Prime on March 20th! Enjoy complimentary appetizers, meet & greet with members of the chamber and local businesses from 5-7PM. SEE YOU THEN!